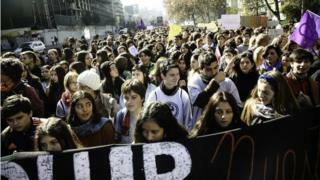 Thousands of people have marched through the Chilean capital, Sant iago, to protest against sexual harassment and sexist behaviour in universities and schools. The march saw schoolchildren joining students to demand an end to "institutionalised sexism" and violence against women on campuses and in schools. 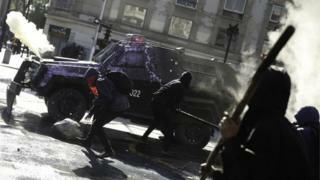 But the message the protesters wanted to get across was a serious one. 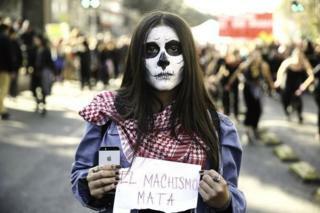 Many held up signs reading: "Machismo kills". 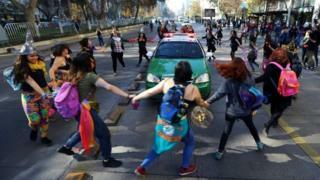 In 2017, 43 women were killed by their partners in incidents of domestic violence, according to Chile's ministry of women and gen der equality. 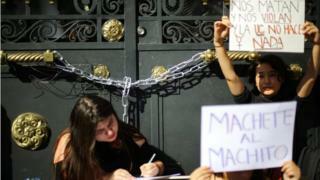 President SebastiÃ¡n PiÃ±era recently announced measures to combat sexism, but the students say they do not go far enough. 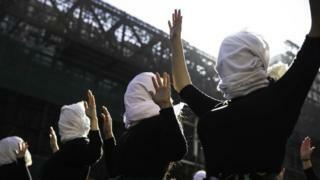 They insist that the occupations and marches are the only way to make their voices heard.